Who is Cogent and What is their Role ? Cogent was previously known as OPITO (Offshore Petroleum Industry Training Organisation). OPITO standards are owned by he industry. Cogent put the industry's policy into a properly formatted Training Standard,, approve Training Providers to carry out the training (as per the requirements of the standard) and audit the Training Providers. (Cogent is custodian, has the responsibility to industry to maintain, develop and update these standards). How are the Training Standards Developed and Who Governs Onboard Ongoing Training for ERRV Crews ? Training Standards have been developed using a national competence model. This involved the analysis of functions required to handle an emergency offshore from which Statements of Competence were developed. These statements specify what personnel care required to do in an emergency. What is the Role of the Training Providers ? The Training Providers are industry based training organisations approved by Cogent to carry out the training as per the requirements of the Training Standard. The role of the Training Providers is to ensure high standards of training that meet all levels of competencies required for the work being undertaken within the Emergency Response and Rescue Vessel industry, with specific responsibility to ensure training meets the appropriate accreditation standard as laid down by UKOOA, MCA and the HSE. Who are Oil and Gas UK ? Oil and Gas UK is the representative organisation for the UK offshore oil and gas industry. 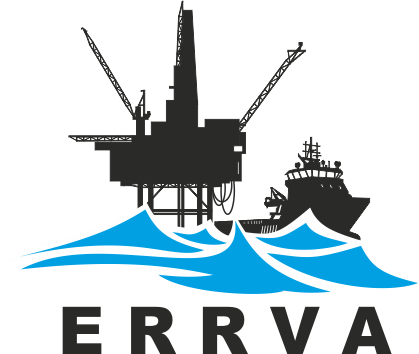 Its Members are companies licensed by the Government to explore and produce oil and gas in UK waters. Its mission is through cooperative solutions across industry, government and all stakeholders, to strengthen the long term health of the UK Offshore oil and gas industry. What is the role of the MCA ? The Maritime Coastguard Agency is the UK's Maritime Administration Body. It is the arbiter of Marine Safety for ERRV's. It is an international organisation whose aims are primarily to prevent loss of life, improve marine safety and to protect the marine environment. What is the role of the HSE ? The role of the HSE is to prevent major accidents with catastrophic consequences offshore; to secure a step change improvement in injury rates and work related ill health, and consequent days lost from work; to work with industry to make the UKCS the safest offshore sector in the world by (put in date - old website says 2010) and to continue improving the working environment.